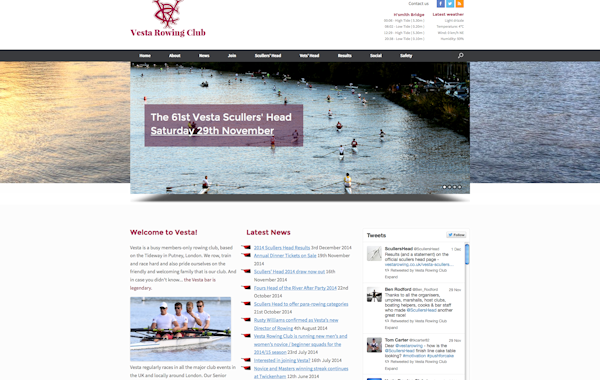 Vesta is a well-established rowing club in London, with a membership of several hundred. 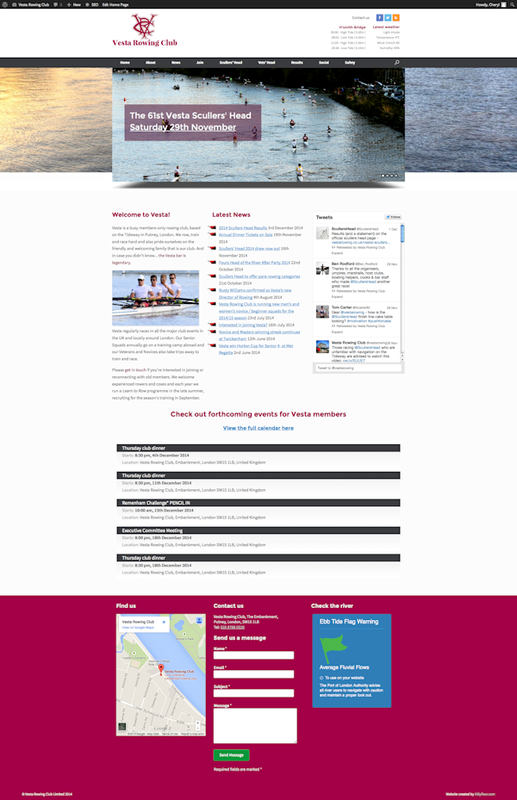 We have refreshed the website to make it more useful and up-to-date for members and more attractive for visitors (almost halving the bounce rate). And as part of an ongoing project, we moved membership subscriptions to an online direct debit collection service and member applications online too, saving time, reducing errors and increasing revenues. 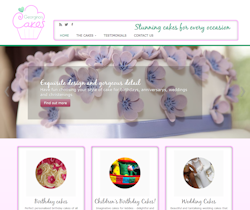 New website for cakes, cakes and more cakes! 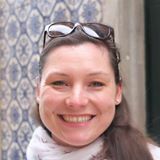 Georgina had a website but it did not handle her photographs and testimonials well at all! 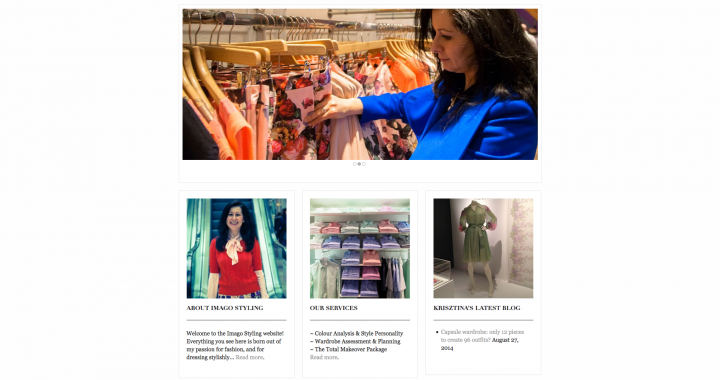 She needed to be able to upload photos quickly, and create galleries and testimonials simply. 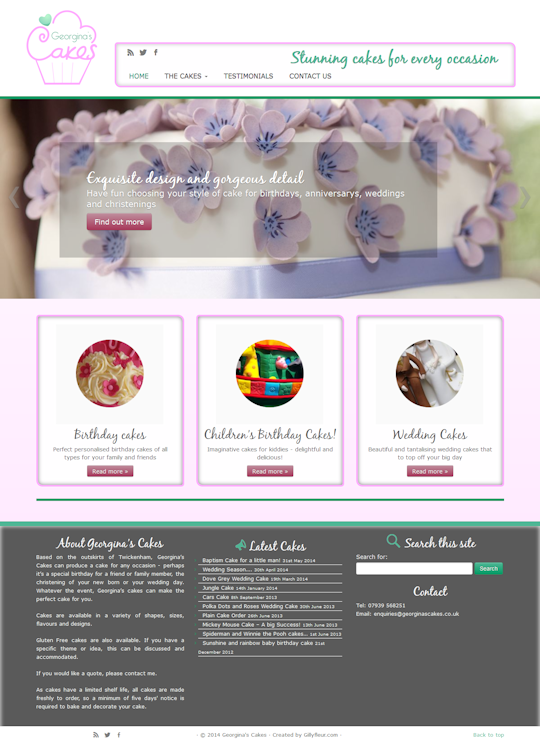 We decided her website should be very visual and so included lots of sliders featuring her gorgeous cakes. 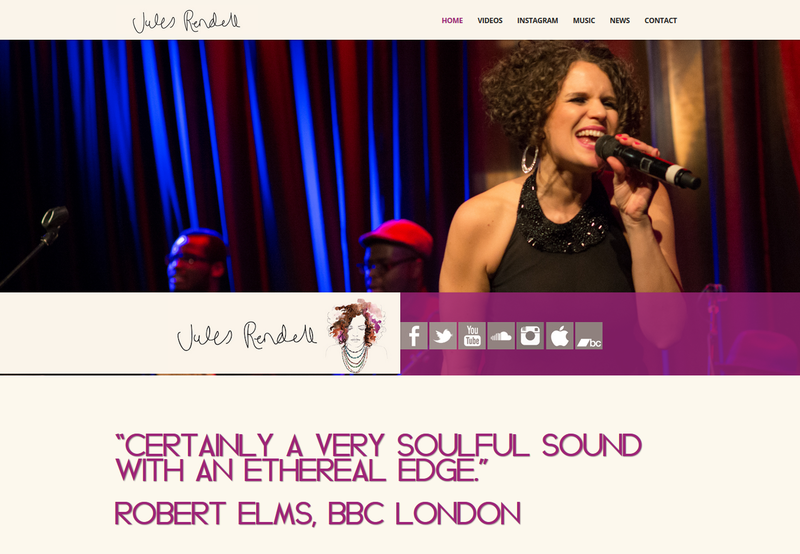 Cheryl, I just want to say a huge thank you for all your help with my wonderful new website. 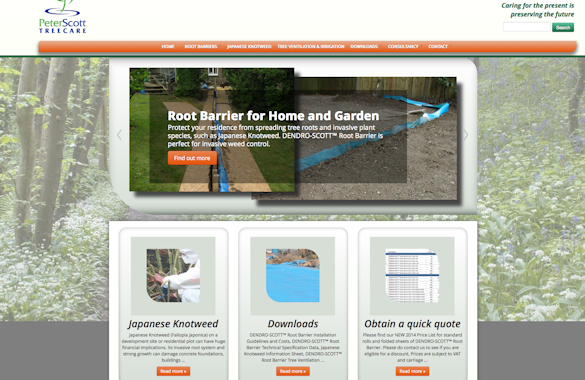 I am so pleased with the finished site as it is now super user friendly for both me and my customers. Thank you also for your patience helping me understand WordPress and answering the hundreds of little questions I had at first. You made the whole process very simple and easy for me, when I thought it was going to be a complete nightmare. 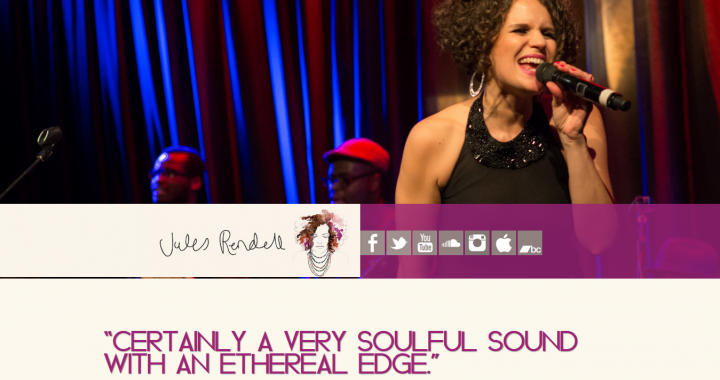 I will be recommending you to all my family and friends that need a website! 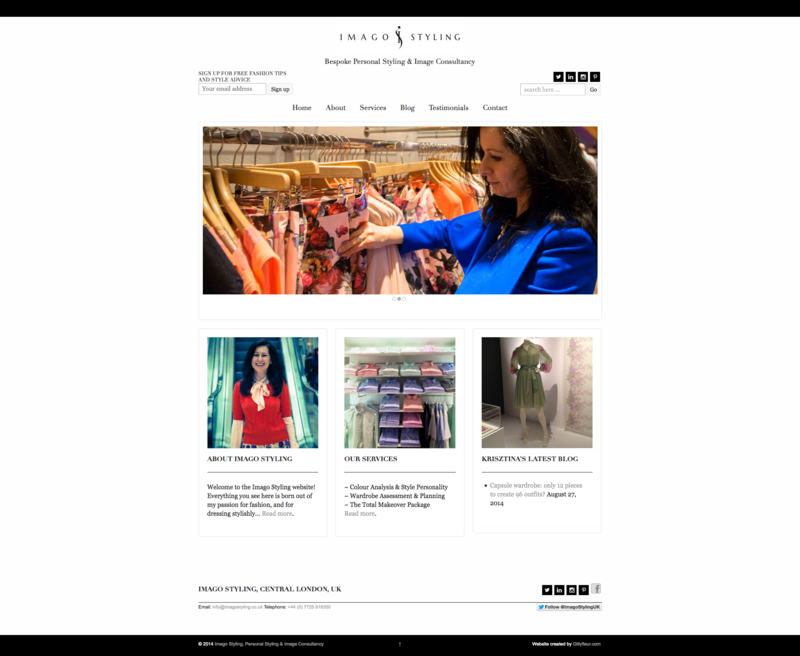 Kristina is a personal stylist and image consultant who needed to build an online brand and presence. As a stylist, she had a vision of a clean, classic, monochrome site, which splashes of vibrant colour. "I thoroughly enjoyed working with Cheryl! I was new to the world of websites and widgets when we began working together, and she was very patient, explained everything thoroughly, even helped me to set up my business email account, and held my hand throughout the whole process. At all times we were moving at my pace, she was always at the end of the phone and available to answer my questions, even after the website was finished, whilst I was learning to manage it myself. 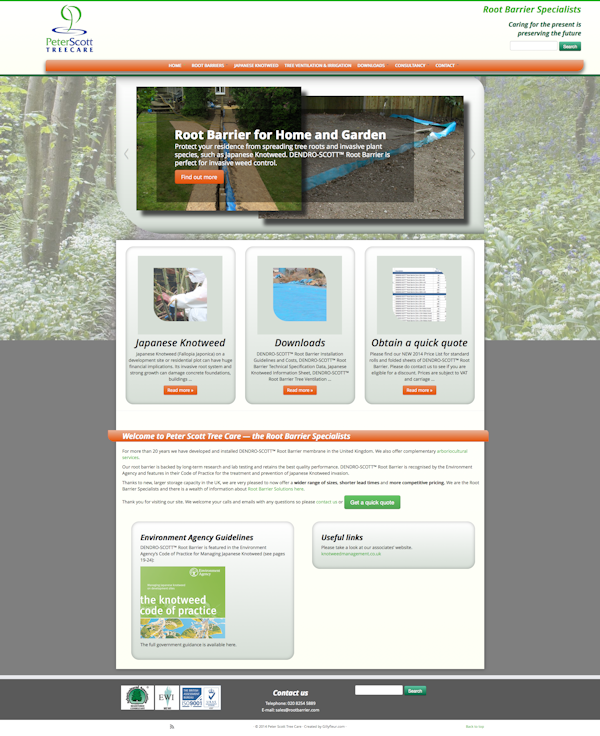 Couldn’t find a more helpful web designer, thoroughly recommend working with her."